Although last night did not end the way we had hoped for our Milwaukee Brewers, we here at Ticket King Milwaukee would like to commend them for a fabulous season. 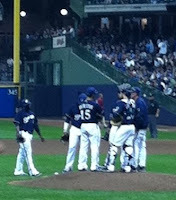 Thanks for the memories, 2011 Milwaukee Brewers season! This has been one of the most exciting Milwaukee Brewers seasons of all time and it was so fun to watch its many high points. We would have loved to see the Brewers play in the World Series, but that wasn't in the cards. Maybe next year? 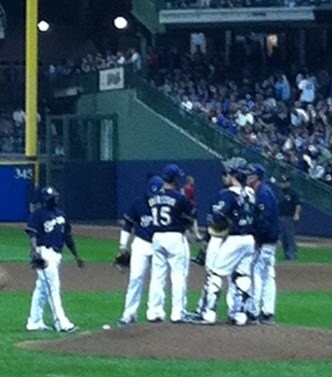 Speaking of next year, Brewers Opening Day will be on Friday, April 6th 2012 against the St. Louis Cardinals. Rematch! Mark your calenders, Brewers fans. In the meantime, you can tide yourself over with some stellar Green Bay Packers football.